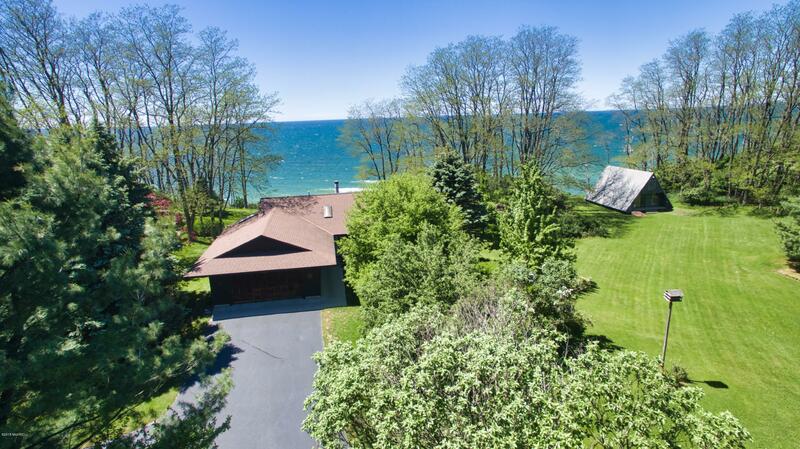 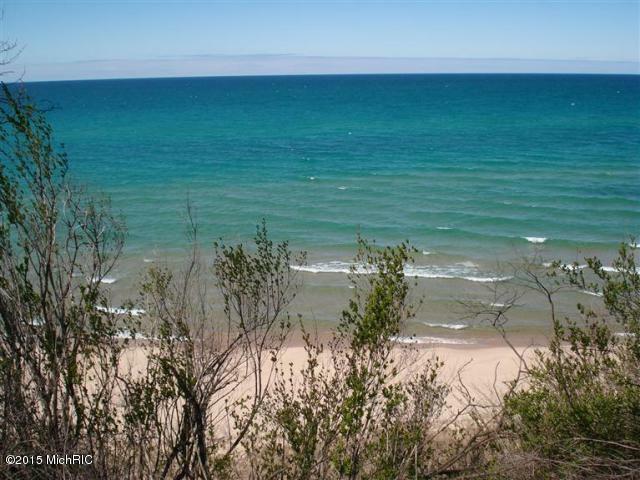 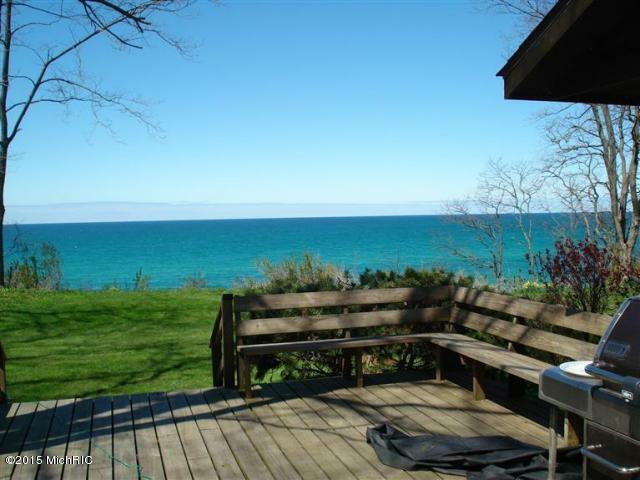 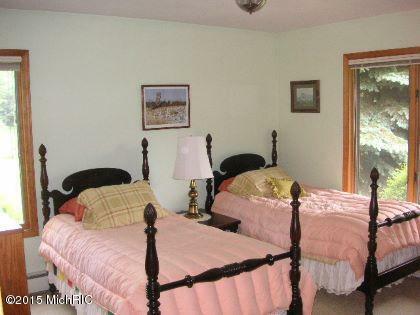 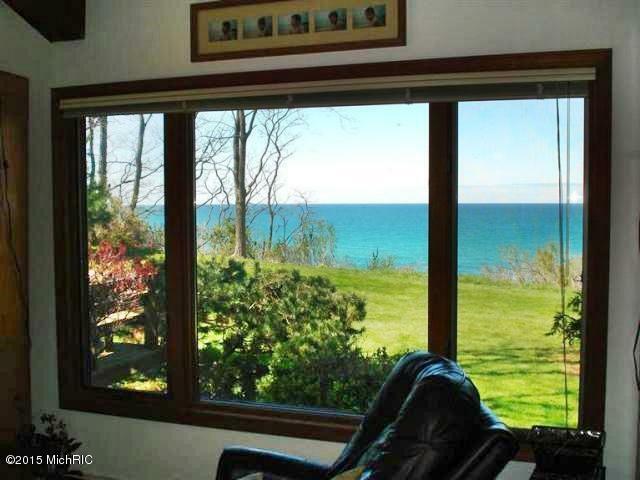 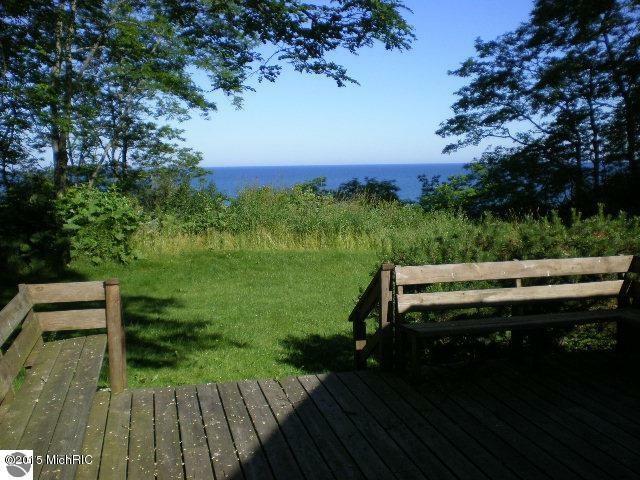 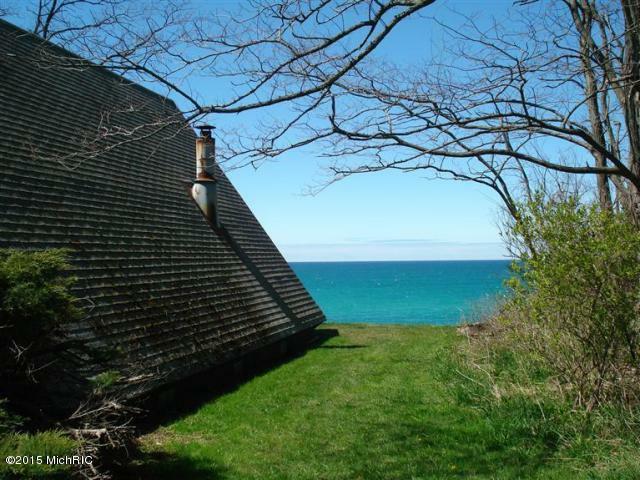 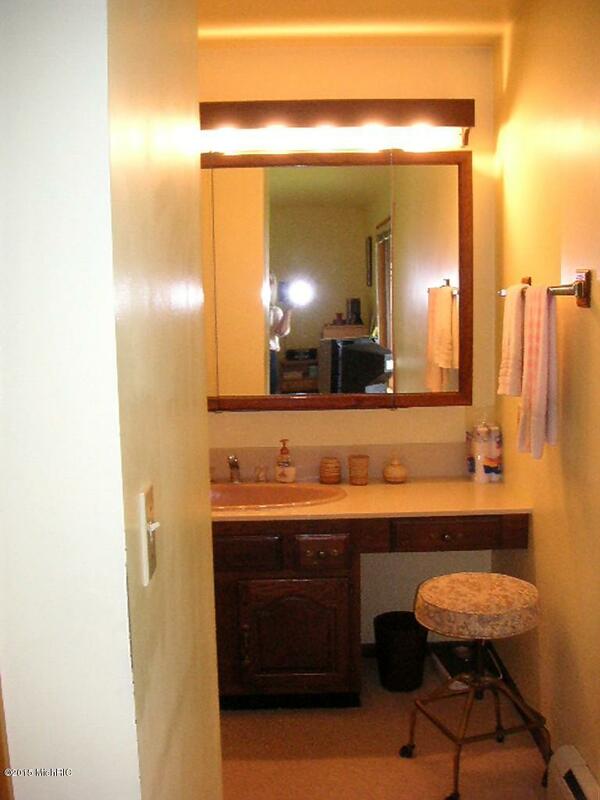 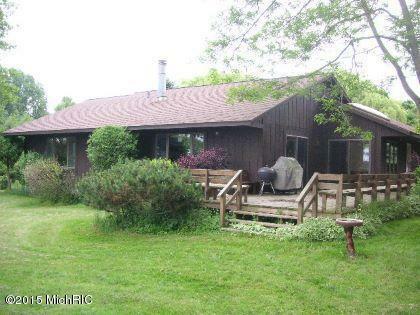 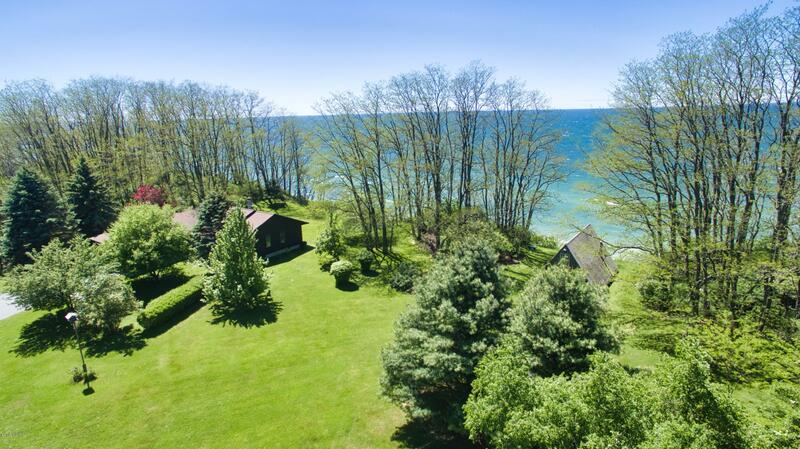 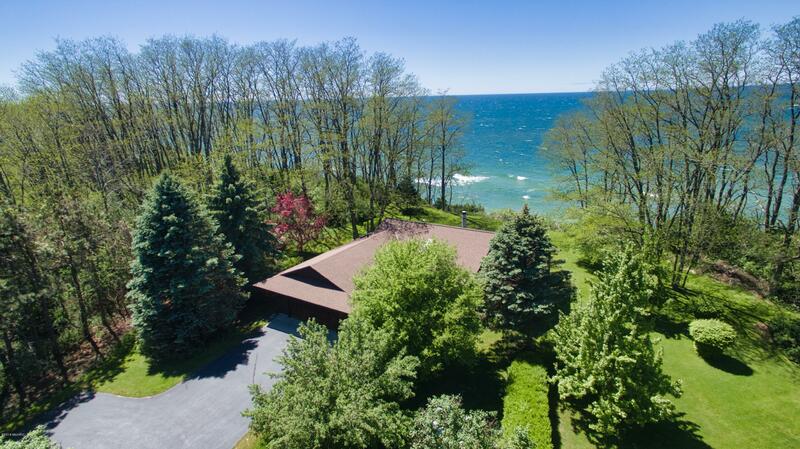 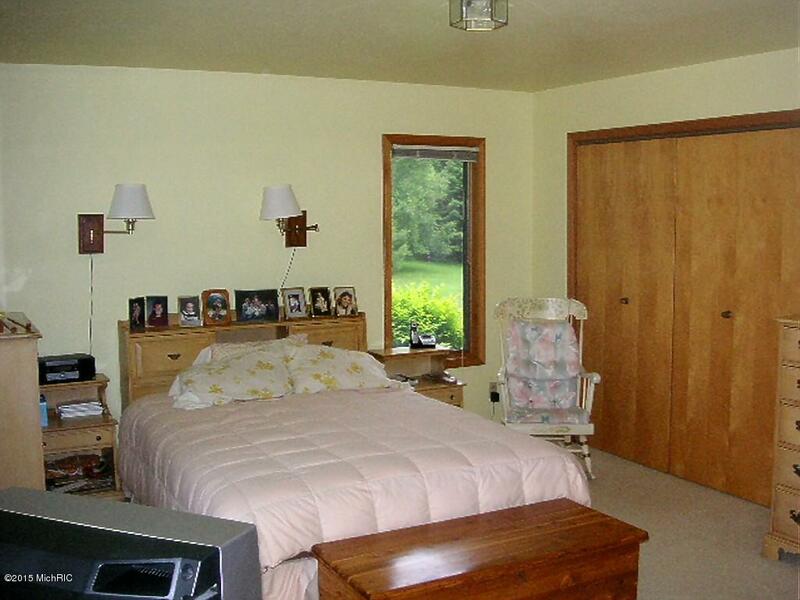 Full Description: SIX (6) pristine, park-like, PRIVATE acres on LAKE MICHIGAN! 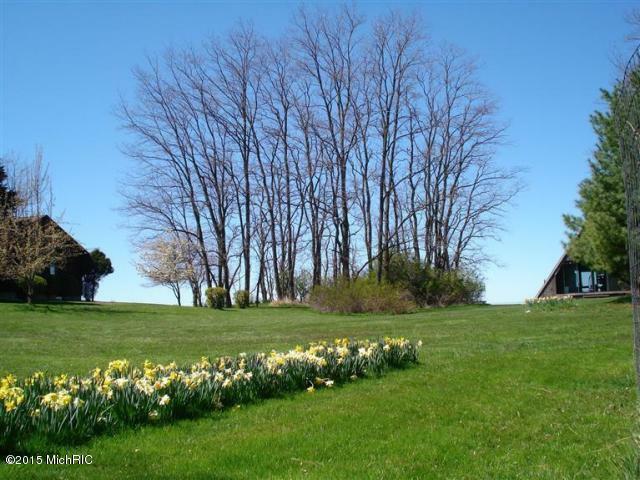 464 FEET of RARE-opportunity FRONTAGE ... all tucked back in a secluded area adjacent to the Michigan Audubon. 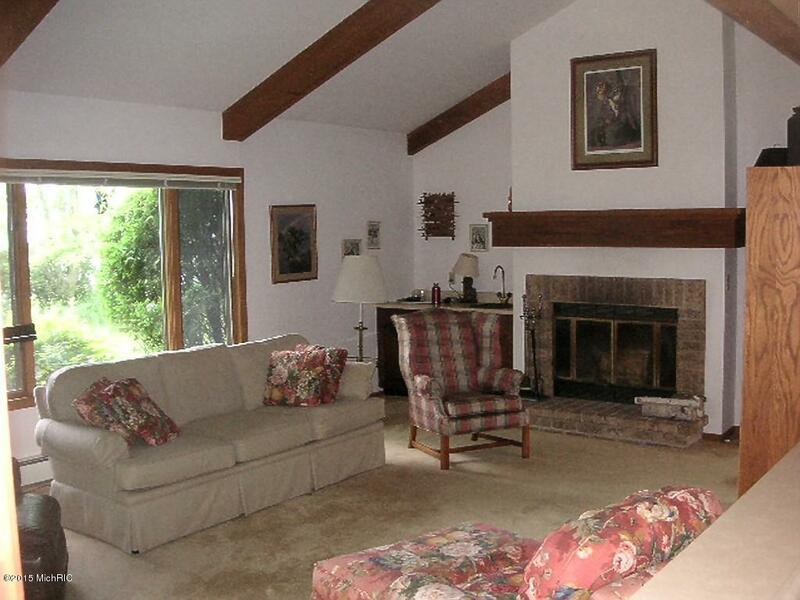 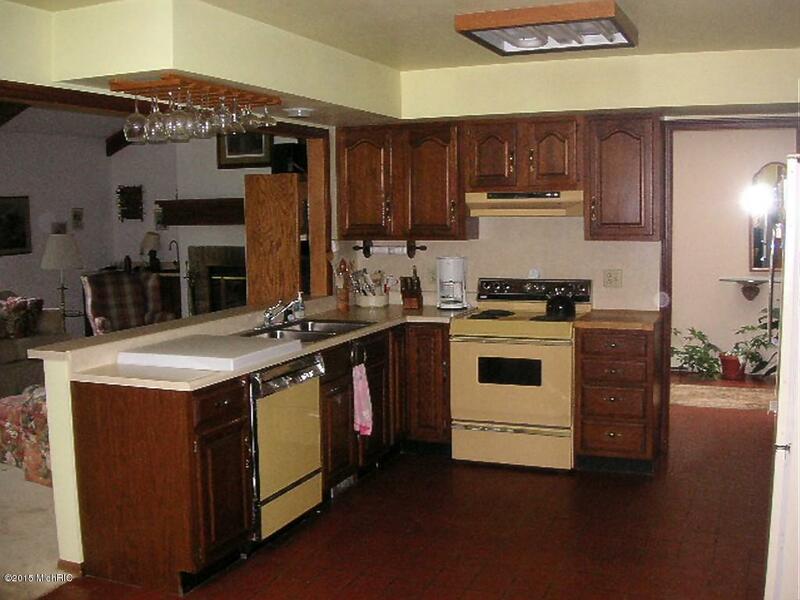 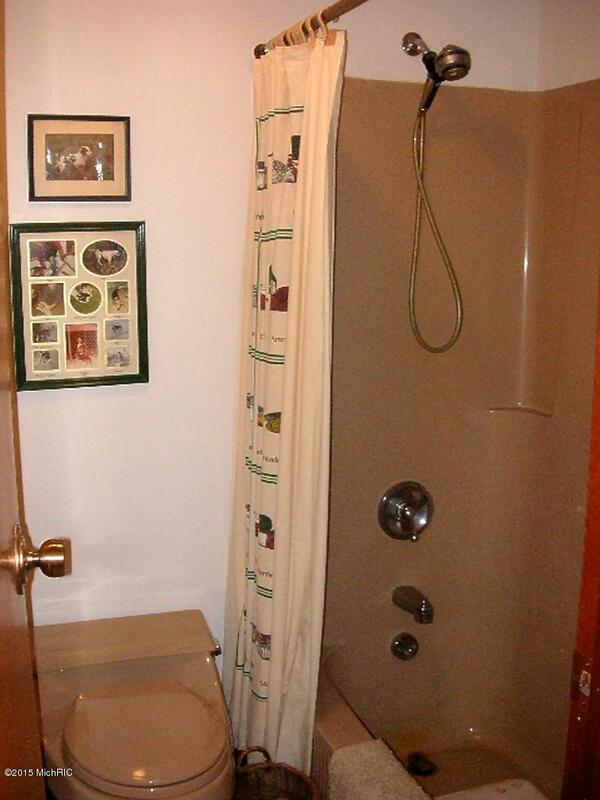 The main home has 3 bedrooms, 2 full bathrooms, a wood-burning fireplace, cathedral ceiling, main-floor laundry, Andersen windows, a full basement and an attached 2-car garage. 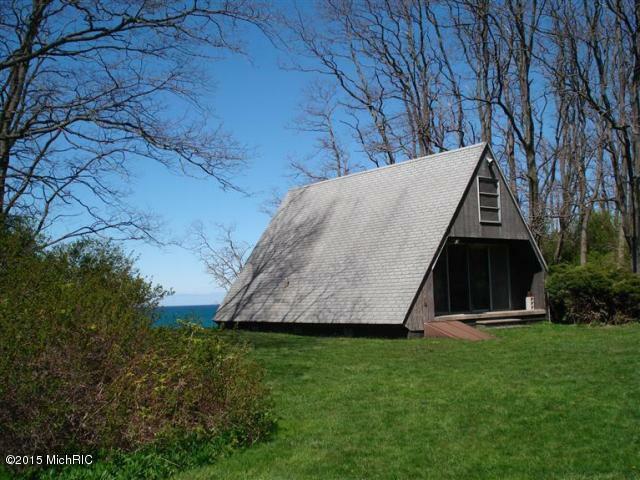 There is a bonus 672 sq ft 1968 A-frame guest cottage with 2nd floor built-in bunks. 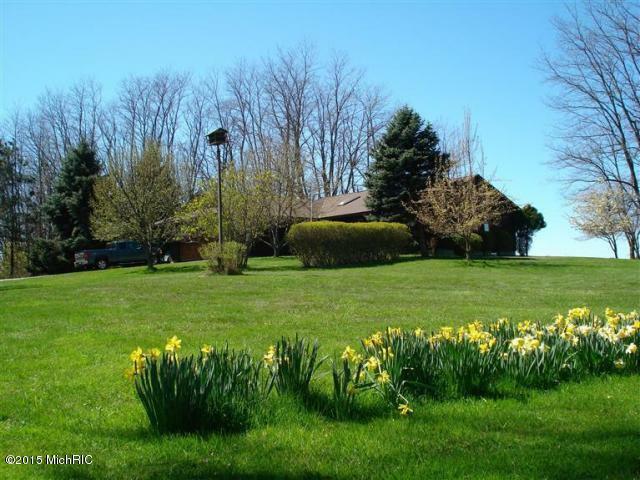 You'll also love the 24x32 pole barn by the house and an additional 24x26 garage on the N end. 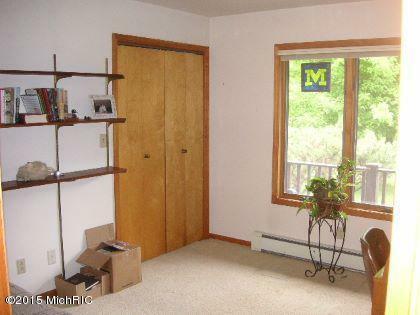 Fenced-in garden area too. 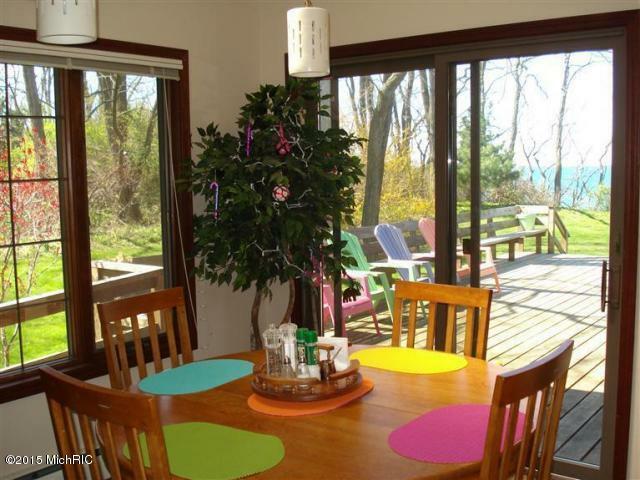 Fruit trees, raspberries and grapevines bring the deer in, and like your guests, they'll never want to leave. 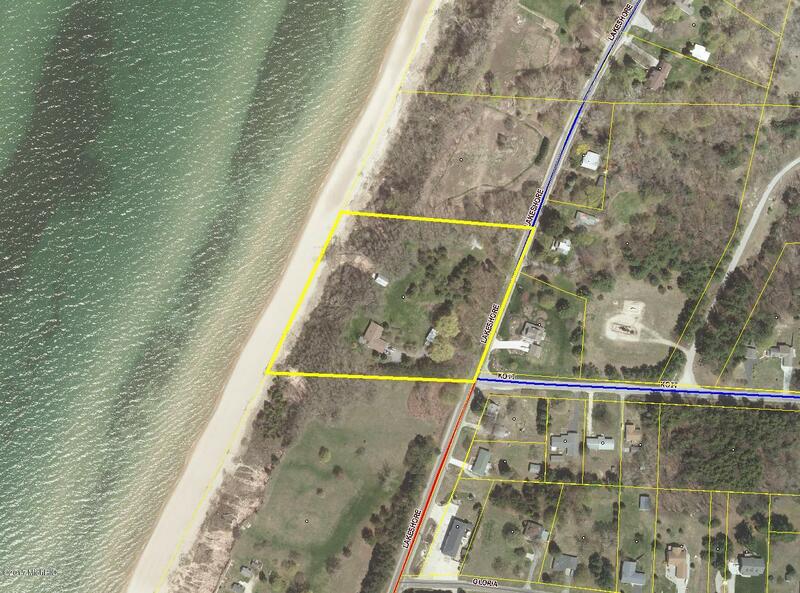 Property can be split 3 more times! 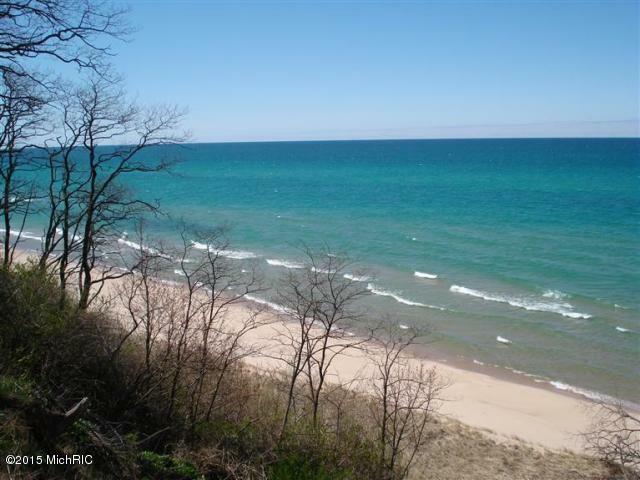 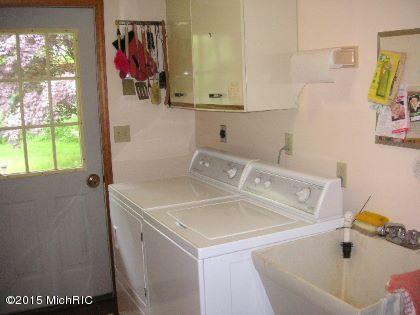 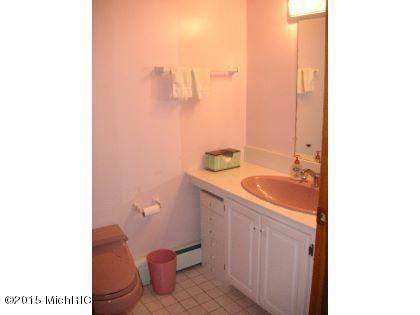 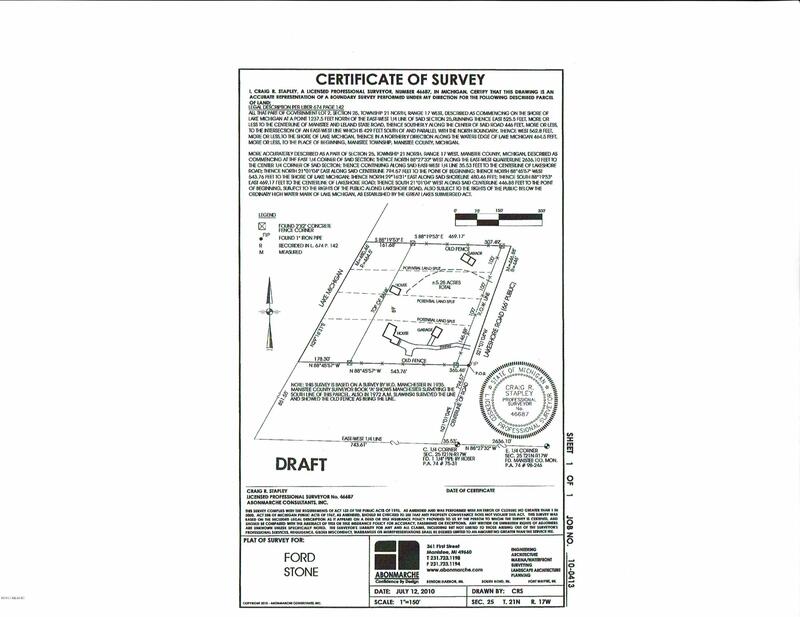 GREAT price for development ... minutes from Manistee!